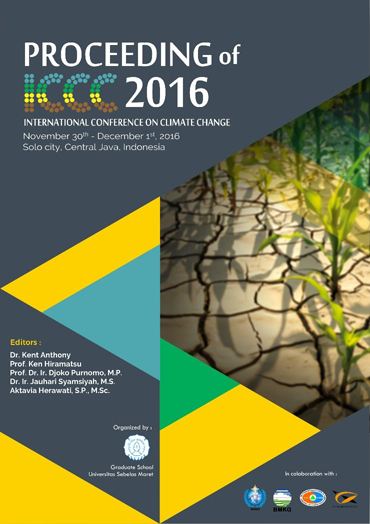 This proceedings is the outcome of the International Conference on Climate Change: “Adaptation and Mitigation Strategy for Sustainable Life”, which was organized by Graduate School of Universitas Sebelas Maret, Surakarta, Indonesia. This proceedings presents the overview of climate change impacts on many aspects, and some articles also discuss on some strategies on how to cope with it. We hope to publish the conference proceedings series in the next conference.